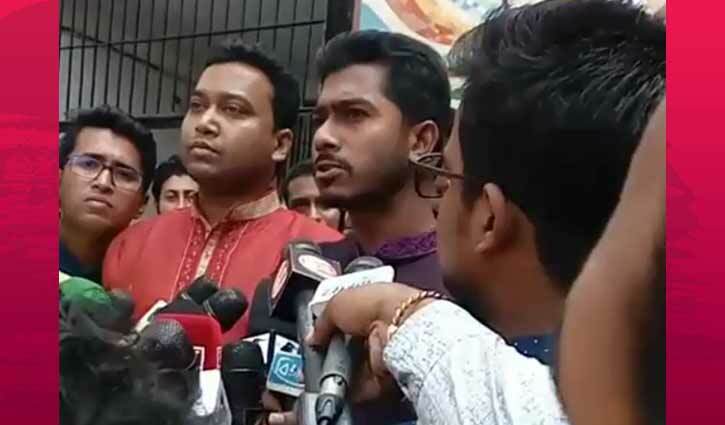 Staff Correspondent: Newly elected Dhaka University Central Students Union (Ducsu) Vice President (VP) Nurul Haque Nur opposed nomination of making Prime Minister Sheikh Hasina as a lifetime Ducsu member. He opposed the proposal claiming that the recent Ducsu election held was not fair. He also demanded reelection for Ducsu. International Affairs Secretary of Ducsu Shahrima Tanjima Orni tabled the proposal in the first meeting on Saturday. The proposal is likely to be passed in next meeting. After the first functional meeting of Ducsu new committee elected by polls held after 28 years, its president Professor Dr Akhtaruzzaman told media that they decided in principal to give Prime Minister Sheikh Hasina lifetime Ducsu membership. The decision may be passed in next meeting. Ducsu General Secretary (GS) Golam Rabbani told reporters that 23 members of Ducsu gave their consent for PM’s lifetime membership So, it will be passed.